Mathematics is one of the most important subjects of our life. No matter to which field or profession you belong to, its use is everywhere. That is why it is necessary to have a good understand of the subject. Though the basics of mathematics start from school but its usage continues till we become adults and thus it can be said that maths has become an integral part. Imagining our lives without it is like a ship without a sail. 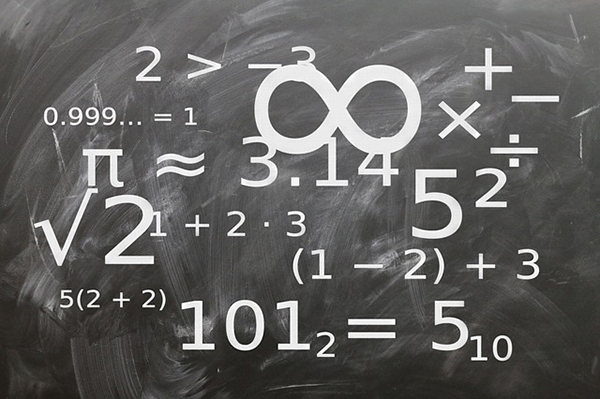 You might be surprised to know that we use mathematics every day even without knowing it. From dialing numbers on phone to giving money for making the payments, our world is surrounded by mathematics. So let us see what impact this subject has made on our lives. Use in kitchen – While preparing food, we always measure the different ingredients so as to cook the desired quantity only. This is possible only because of the mathematics. If we were not aware of the numbers, it would not have been possible to measure, make adjustments and cook tasty food. So you can say that our day begins with the concept of maths. Shopping – When going for shopping, we prepare a list of items we require, calculate the amount of money needed for it etc. All this calculation is based on numbers which come from mathematics. Without the numbers, you cannot decide how much you need to pay to the vendor and how much you have saved. So in the case of shopping too, you are surrounded by the world of mathematics. In the field of banking – This is the sector where a number of concepts of mathematics are applied and therefore the experts need to have a good understanding and command of the subject. Handling the transactions of the bank is not simple and you need to have some knowledge of mathematics in order to maintain your account, deposit and withdraw money etc. If you wish to take a loan, you need to have an idea about the interest you will have to pay and what will be the monthly premium that you would need to pay. In short, the banking sector is completely related to maths and so even the customers need to be familiar with it. Traveling – Everyone loves to travel but there is a lot more to it than the enjoyment. While planning your vacation, you not only have to decide the place where you wish to go but book your hotel, tickets etc. All this requires budget planning and a sense of understanding of mathematics so that you can accomplish the different tasks successfully. From the traveling distance to its cost, bus tickets, hiring cabs etc all requires maths. Thus from the above examples, you might have got a clear idea that there is no such area where the concept of mathematics is not used. You just cannot do without this subject and that is why it is essential to keep your basics right to perform the everyday activities of life. So have fun with the number and enjoy. Good .I want to say that u should also put information about how mathematics came into the world. Yes… That was a great speech. Excellent 😆😃…. It was quite relevant and useful. It’s a nice speech. It helped me to complete my project.